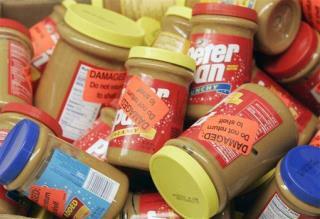 (Newser) – A decade after hundreds of Americans got sick from eating Peter Pan peanut butter contaminated with salmonella, the company that sold it paid with an embarrassing courtroom guilty plea and an agreement to pay the largest criminal fine ever in a US food safety case. The president of a ConAgra subsidiary entered a guilty plea on behalf of his company Tuesday to a single misdemeanor count of shipping adulterated food. A US District Court judge then approved a deal ConAgra reached with prosecutors to pay an $8 million fine plus $3.2 million in cash forfeitures, the AP reports. "Obviously they're able to absorb an $11 million penalty much more than a smaller company," says Bill Marler, a Seattle-based attorney who specializes in food safety cases. "But it still sends a pretty significant message." I don't remember issues like that when Peanut butter was packaged in cans.